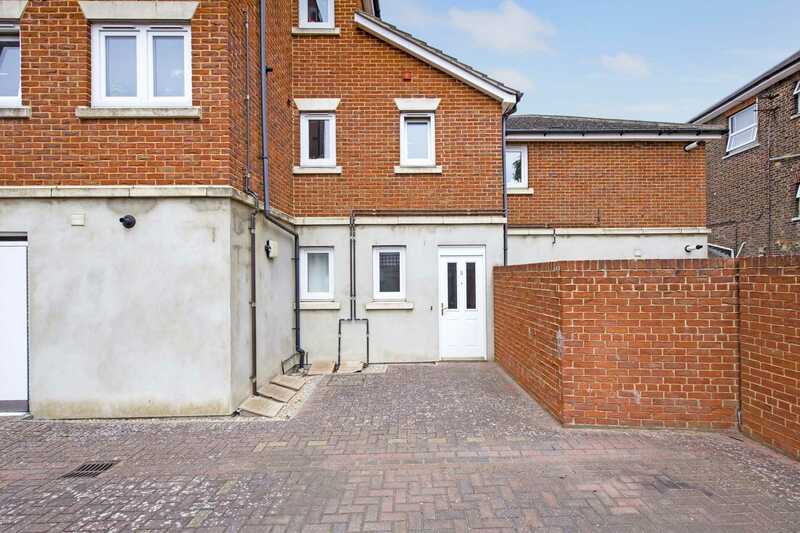 SOLD BY FLYING FISH PROPERTIES: FOR SALE ON A 50% SHARED EQUITY BASIS (£90k investment based on £180k Guide Price). 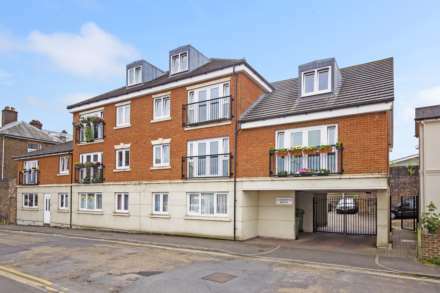 This apartment sits in the popular St Johns quarter of Tunbridge Wells with local vibrant coffee shops, restaurants and convenience stores on its doorstep. 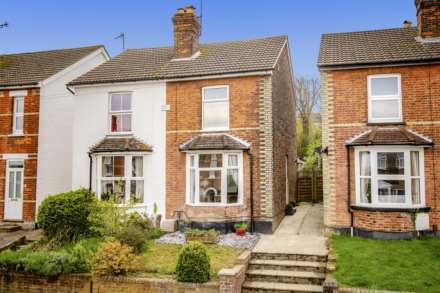 It is also touchingly close to the town centre and mainline stations making it perfect for young professionals with commuting needs. 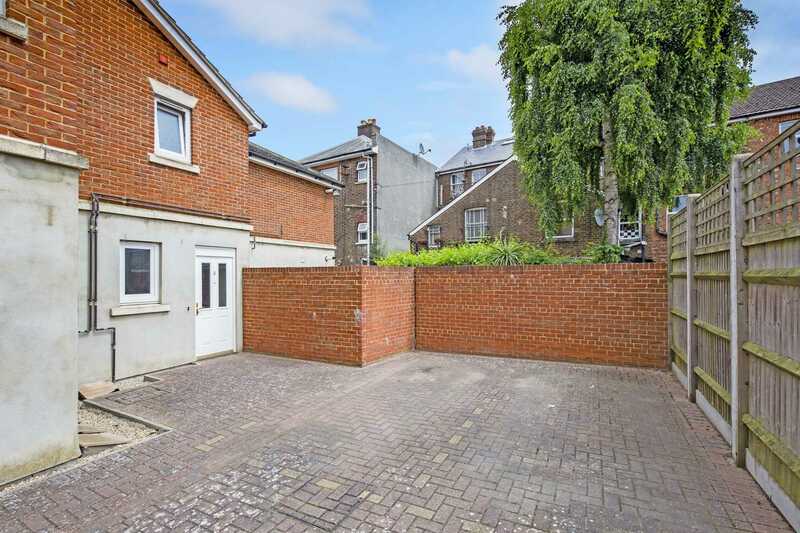 A smart gated off-street car park to the rear of the building leads you round to the apartment`s own front door at the far end. Entering into the wide hallway with neutral décor and warm wooden effect flooring, a deep storage cupboard at the far end provides plenty of storage. First on the left is the bathroom with a shower over the bath, its window reflecting light off its white tiles creating a soothing bathing experience. Beyond is the bedroom which has a very bright feeling with light flooding in through its large window. 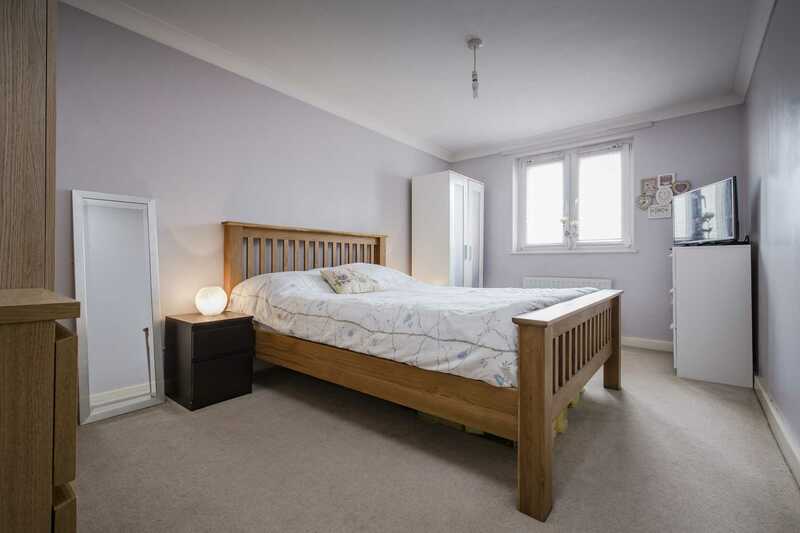 There is plenty of room for bedroom furniture too. Across the hallway the light walls of the living space are offset by the warm tones of the wooden effect floor with a deep red feature wall adding character. The dimensions of the living space offer ample room for a deep sofa and a dining table and chairs. The well separated kitchen area forms an open U space at the far end of the living room enabling you to chat to friends and family as you prepare dinner. Plenty of wooden effect units topped with dark grey work surfaces are separated by the integrated NEFF oven. This fantastic apartment would suit first time buyers, investors and professionals alike. A must see! 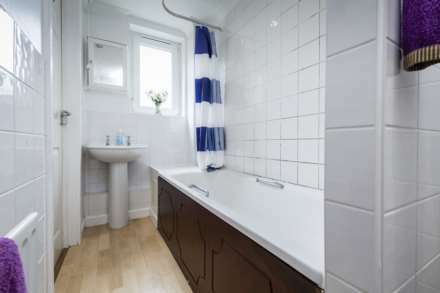 Bathroom: rear aspect opaque double glazed window, wooden effect panel enclosed bath with mixer tap and wall mounted shower above, pedestal wash hand basin, low level WC, part tiled walls, wooden effect laminate flooring, extractor fan and radiator. 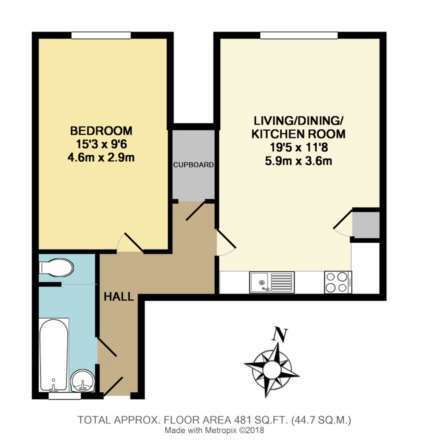 Bedroom: 15`3 x 9`6` front aspect double glazed window overlooking the road and radiator. 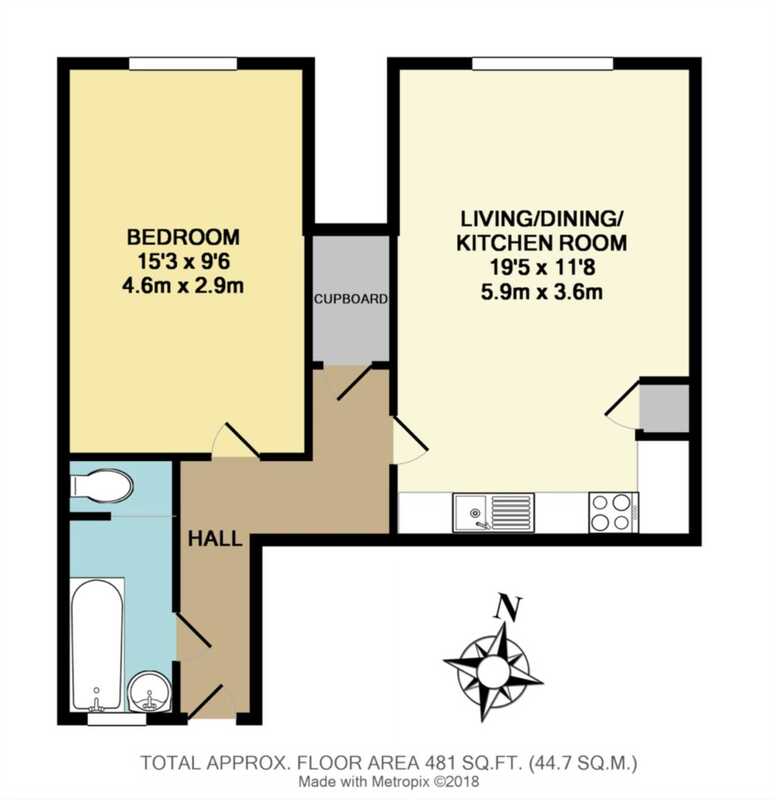 Kitchen/Living/Dining Room: 19`5 x 11`8` front aspect double glazed window, wooden effect laminate flooring and radiator. 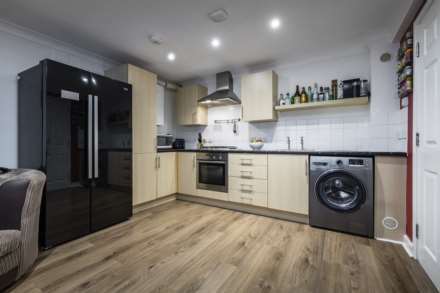 Kitchen: with integrated NEFF electric oven, 4 ring gas hob, stainless steel extractor fan, space for fridge/freezer, stainless steel sink with drainer, space and plumbing for washing machine and wall hung Worcester boiler. The kitchen has a selection of wooden effect eye and base level units topped with dark grey work surfaces. 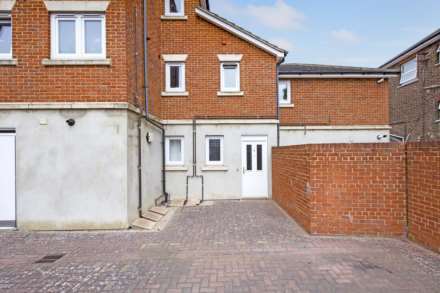 Outside: to the rear of the property is a block brick car park with an allocated parking space which is accessed through a secure set of electric gates with a pedestrian gate to the side. Excellent local primary schools such as St John`s Church of England Primary School sit alongside the highly regarded and sought after girls` and boys` grammar schools. 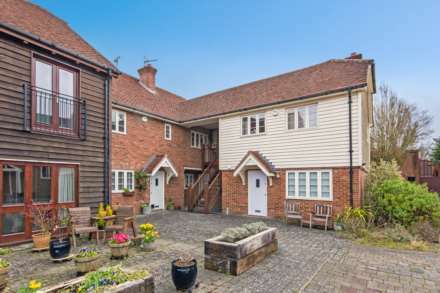 With a number of additional exceptional state secondary schools in its borough, such as the Bennett Memorial Diocesan School and the renowned Tonbridge and Sevenoaks Schools on its doorstep, parents are definitely spoilt for choice. 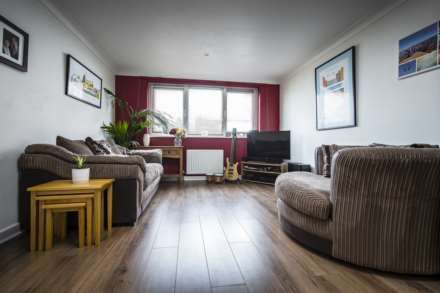 Recreational amenities such as the St John`s Recreational Ground, Dunorlan and Grosvenor Parks, Calverly Grounds, the Assembly Hall Theatre, Nevill Golf Club and St Johns Sports Centre offer an abundance of leisure facilities.